Intensive nutrition and reconstruction that lasts. It strengthens the skin internally. Pro-Vitamin B5: strengthens the regeneration of skin cells and moisturizes deeply. Vitamin E: is the main ally in the anti-aging of skin. Madecassoside: effectively contributes to the flexibility and strength of the skin and protects it in the long term. 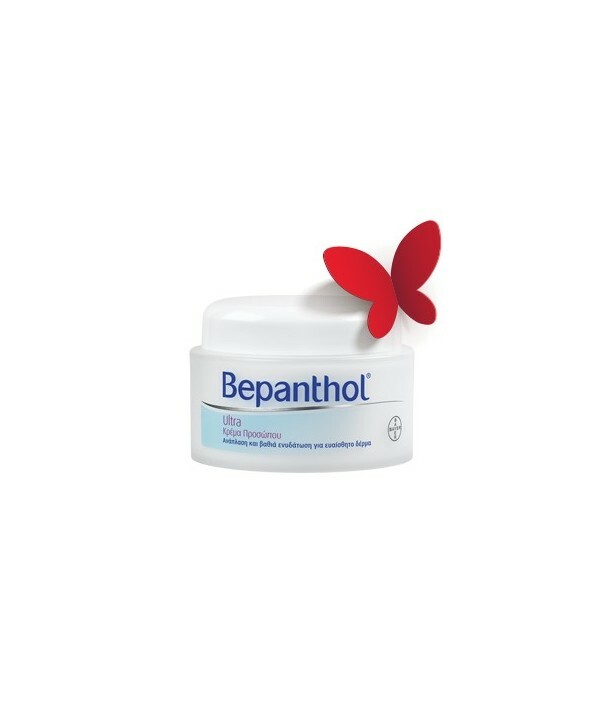 Glycerin, Lactate and Glycin: provide intensive hydration and reduce the feeling of skin pulling. Vitamin B3: regulatory factor of natural skin lipids. Ceramides: natural shield that protects the skin, causing the skin to retain more vibrant, supple and smooth. Use: Apply the cream every day across the face, neck and décolleté. Bepanthol Ultra can also be used as a makeup base. It does not cause acne. It absorbs quickly and pleasantly.